HKTDC ICT Expo 2015 - Yusata Infotech Pvt. Ltd.
HKTDC Hong Kong International ICT Expo 2015 covers the newest products and solutions in information, communication and technologies. ICT Expo 2015 helded at Hong Kong Convention & Exhibition Centre (HKCEC) from April 13 to April 16, 2015. The International ICT Expo showcases the newest products and solutions in information, communication and technologies to help SMEs to maximise efficiency and minimise cost. Exhibits include business Apps on cloud & mobile; mobile marketing; computer & peripherals; enterprise solutions & IT outsourcing; home-grown innovations; smartphone & tablet; telecom, networking & wireless technologies. The HKTDC International ICT Expo is Asia's leading ICT event for ICT providers to meet world enterprises and Hong Kong SME's for business. In 2014, over 600 exhibitors from 13 countries and regions took part in the event, including group pavilions from Australia, Canada, the Chinese mainland, India, Korea, New Zealand, Russia and Taiwan. The expo attracted over 31,000 buyers from different industries who are looking for the ICT solutions, like mobile application solution and multichannel intelligent marketing solution, etc. 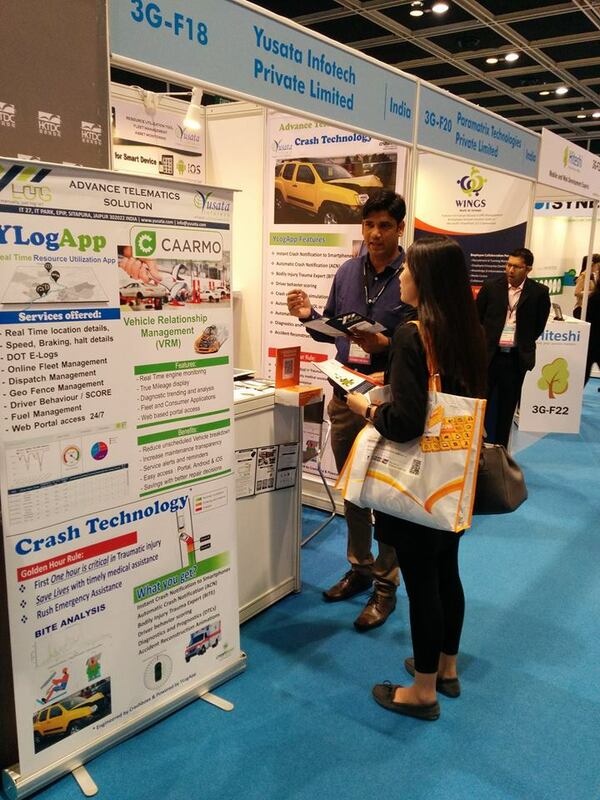 We would like to thank our delegates for making their presence at our booth in HKTDC IT Expo 2015.